The first half of this year has seen exciting advances in our research and several successful academic programs. A highlight of this year’s academic programs was a special presentation and reception in Washington, DC, on Strategy in the Age of Data featuring former heads of intelligence agencies Pat Huges and Greg Treverton, as well as Theresa Whelan and Todd Veazie. These strategic experts described the transformation of analytics necessary to address real world challenges. Last month saw the successful revival of the International Conference on Complex Systems (ICCS), a longstanding NECSI tradition. ICCS is a unique, interdisciplinary experience, drawing on world-renowned researchers from diverse fields of study to present their work and deliver compelling and informati ve plenary talks. We would like to thank everyone who participated and contributed to the conference's success. In May, a new outbreak of Ebola was confirmed in the Democratic Republic of the Congo (DRC). We were honored to participate in calls with local and international responders organized by the World Health Organization. We shared the guidance and strategies we developed during the 2014 outbreak in West Africa. It is great news that this outbreak appears to be contained. The success of their efforts points to the importance of an early and rapid response. However, as we are writing this newsletter a new outbreak has just been reported, this time in the war zone in Northeastern DRC, making it harder to control. We look forward to upcoming academic programs, and more research advances in the second half of 2018. During this year, NECSI has published research on economics of development, market volatility, and some of the fundamental concepts underlying complex systems science. Our past work on containing epidemics saw new relevance with an outbreak of Ebola in the DRC. NECSI co-faculty John Sterman also published an important paper on climate change. Details and links are below. The global economy is often seen as beneficial to developing countries. However, our research on the dynamic flows of money shows that open trade can actually hinder emerging economies. See the research paper. We have studied recent instability in the stock market, including the largest single-day fall in history in raw point terms on February 5th. Under present conditions, the economy is vulnerable to an even larger one-day panic. See the report. In a research paper published in May, President Bar-Yam and Faculty Fellow Subodh Patil explore the renormalization of sparse disorder in the Ising model. See the research paper. A new outbreak of Ebola virus disease occurred this year in the DRC. NECSI's research from the 2014 outbreak in West Africa can offer guidance for an effective health care response. See the report. The World Health Organization is deploying a recently developed Ebola vaccine in the DRC. 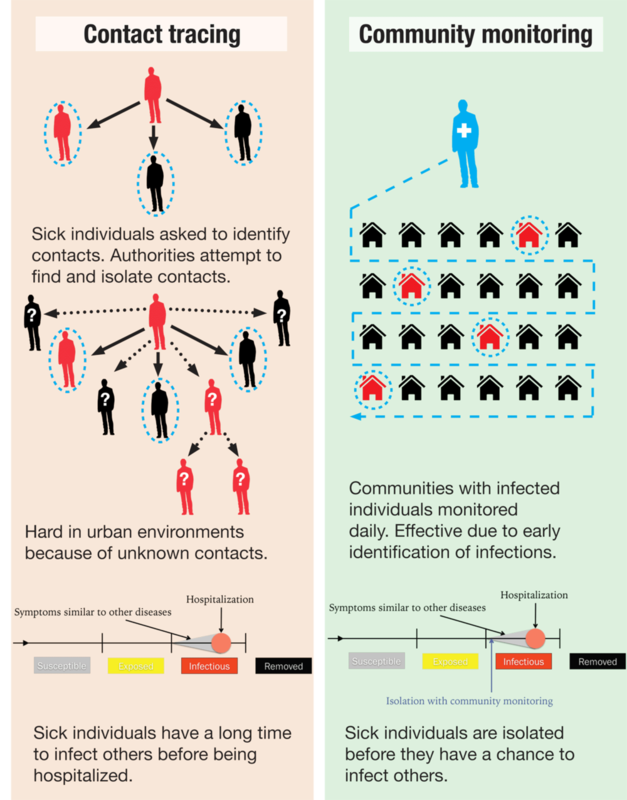 According to NECSI's analysis, vaccination alone cannot stop an outbreak unless it is paired with an effective containment strategy. See the report. A new paper by NECSI faculty John Sterman looks at the environmental impact of using wood to generate electricity. While wood is often touted as a greener alternative to coal, Sterman concludes it would actually worsen climate change. See the research paper. Assistant Professor Alfredo J. Morales and President Bar-Yam appeared on the HumanCurrent podcast to discuss our work and educational programs. Our series of posts on Medium has also continued. Learn about the complex systems concept of the "space of possibilities." President Bar-Yam son's broken leg serves for a teaching moment. Learn about the limitations of our current approach to science in an article by President Bar-Yam published in Science Trends. Artificial intelligence is a rapidly growing area of research today. Listen to Professor Morales discuss NECSI's executive education program on AI as well as the unintended consequences that could arise from these new technologies. Listen to a full length interview with President Bar-Yam during the HumanCurrent's recap of 2017. NECSI is hosting two courses as part of its week-long Fall 2018 Executive Program in Boston, MA. Each course can stand alone, and together they form a potent and practical training experience for the executive leader. In addition to the summer and winter schools this year, NECSI conducted two successful executive education programs: Strategic Analytics: Risk and Strategy in a Changing World, and AI and Beyond: The Integration of Human and Artificial Intelligence. The Ninth Annual Conference on Complex Systems was held July 22-27, 2018 in Cambridge MA, USA. ICCS is a unique interdisciplinary forum that unifies and bridges the traditional domains of science and a multitude of real world systems. This year’s special Friday session topic was Artificial Intelligence. Feedback from the conference has been overwhelming positive. We will soon be announcing ICCS 2020! If you missed this year's conference, you can experience part of what it had to offer by listening to live podcasts recorded by the HumanCurrent during the week. 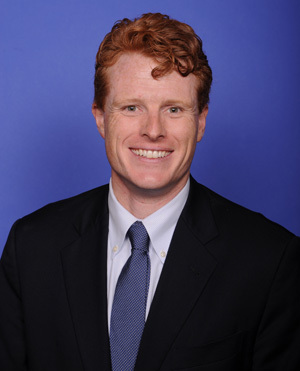 While visting Washington, DC, earlier this year, President Bar-Yam sat down for a meeting with Senator Joe Kennedy III to discuss the policy implications of NECSI's research. Senator Kennedy was highly receptive to NECSI's work and eager to stay informed. Yaneer also met with senior-level members of several offices within the Department of Defense to discuss opportunities for the advancement of Complex Systems Science in policy and the development of a major academic-government partnership on data analytics and artificial intelligence. In April, President Bar-Yam and Professor Morales were invited to give a presentation at Commonwealth Partnership for Technology Management (CPTM) Smart Partners' Open House. CPTM is a membership organization representing developing countries within the Commonwealth of Nations, focused on innovation/tech opportunities for their countries. The topic for the Open House was the leveraging value of data and its impact on national statistics. Bar-Yam and Morales were asked to talk about strategic value networks and understanding complexity. President Bar-Yam also presented at Common Fund Management’s (CFM) Spring Seminar. He presented our work on markets to a group of finance and investment executives and hedge fund managers in New York City. President Bar-Yam was recently invited to join the Executive Editorial Board of the journal Progress in Preventive Medicine. He has been named a Fellow of the European Society of Preventive Medicine. Amir Akhavan joined the NECSI team as as a postdoctoral research fellow. Amir works in the areas of data mining and analysis. He received a Ph.D. in Computer Science from the University of Science Malaysia in the field of Cryptography and application of chaotic systems to the development of novel Crypto-primitives. Amir is interested in applying methods used in chaos theory to the analysis of complex systems. Emina Becirovic joined us for Community Outreach, developing new relationships and fostering old ones from our wide ranging contacts in academia, government, NGOs and business. Emina is interested in how scientific innovation and complex systems can help solve global humanitarian crises. By connecting people and organizations, she hopes to continue the important work that remains to be done. 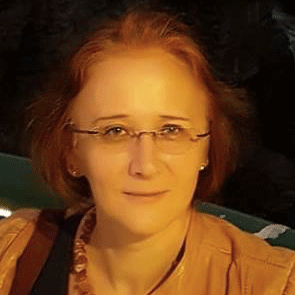 Olha Buchel joined us as a postdoctoral research fellow. Olha develops custom web-based visualization tools that allow researchers and analysts to get deeper insights about data. She has a PhD in Library and Information Science from Western University in Canada with a specialization in information visualization. She came to NECSI to learn about social media analytics and complex systems. She is interested in merging these methods with text analytics, geospatial analysis, and information visualization. Bianca Dalmau joined us for work in Community Outreach in the interests of creating positive changes in the world via collaboration and relationship building. With a background in power dynamics and systemic issues, her life’s work has been around solving problems. She sees the need for solutions that are both proactive and preventative in nature, rather than reactive. She is interested in finding new ways to actionably prioritize the wellbeing of the people, both locally and globally. 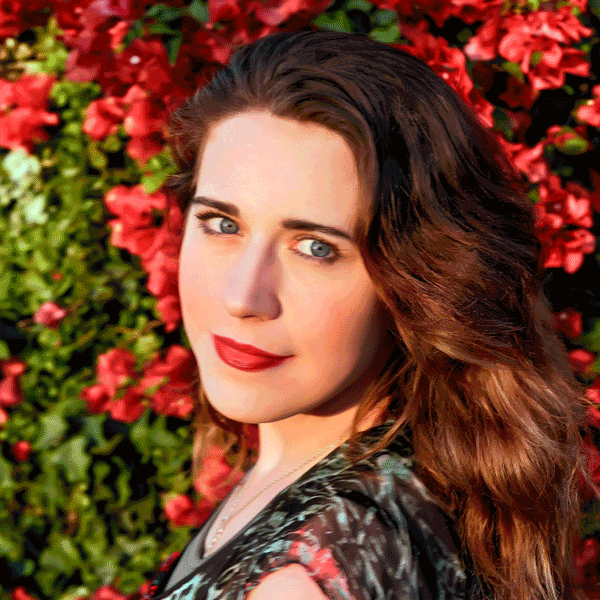 Rachel Rigg joined us as a postdoctoral research fellow. Rachel has a PhD background in biomedical engineering with earlier studies in social science and comparative religion. She enjoys thinking about risk, deep rationality, and evolution. She is interested in applying complex systems approaches to understand human decision making in a variety of domains. Dominic Elias Saadi joined us as a postbaccaleureate research fellow. Dominic graduated from UCLA in 2016 with a BS in Biochemistry. He encountered NECSI for the first time while attended AI and Beyond in 2017. He is interested in all things complexity, namely: networks, multiscale methods, emergence, the complexity profile, and the nature of creativity. Chen Shen joined us as a post-masters research fellow. He graduated this year from Georgetown University with an M.A. in Communication and Technology. Chen’s research interests are in agent-based modeling and social network analysis, especially in developing computational network models for social sciences. 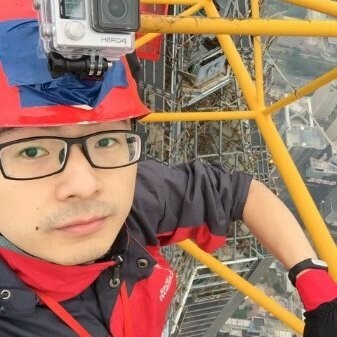 He has previously worked as a TV director in China, mainly for educational shows. Gabriella Franco, Egemen Sert, and Scott Viteri also joined us as summer interns.